(Washington DC) Aftab Committee, Armenian General Benevolent Union (AGBU) and AvestArt is pleased to debut the first duo exhibit by Guy Ghazanchyan and Haley Parsa. In this selection of artwork in “Travelling without Moving,” both artists explore the ways in which histories, bodies and identities are experienced through time, referencing and challenging our connections between our individual present in the context of a greater past and future. For Ghazanchyan, this is expressed through the existence and spirit of the figure, and for Parsa, familial history and cultural homage are investigated through pattern and ritual. "Nothing can determine fully the meaning of the world or the direction one may travel in their life. Yet, this artwork is able illustrate all that we are and conceive of a future which will make sense of the present. Guy and Haley’s artwork involves existence and spirit, self possession and self dispossession, rumination and ecstasy, past and future, history and identity, the emblematic and the conditional, the real and the ideal. It involves what could be, and what is true. It involves traveling without traveling. Exhibition curated by Shahrooz Shekaraubi. Traveling without Moving. October 24th to November 4th, 2017 at Latela Art Gallery (716 Monroe Street NE Studio #27 Washington DC 20017, 202-340-3280). Artist reception will be held on October 26th, 2017. Regular Gallery hours are Tuesday-Thursday 2-7pm, Friday 2-6pm, Saturday 10-4pm and by appointment. The Armenian General Benevolent Union (AGBU) is the world’s largest non-profit organization devoted to upholding the Armenian heritage through educational, cultural and humanitarian programs. AvestArt, an art management company based in Zurich, Switzerland, with offices in Yerevan, Armenia introduces a wide pallet of artworks of emerging and established visual artists coming from various parts of the world, mainly from Armenia, Georgia and Iran to the wider European, Middle Eastern, Asian and American market. Latela Art Gallery, one of Washington D.C.’s newest art galleries and creative spaces, was again named the area’s “Best Commercial Art Gallery” by Washington City Paper in its annual “Best of D.C.” reader poll. Latela has been awarded this recognition for two years in a row. Founded by local curator and artist Marta Staudinger, LATELA opened its doors in November 2015 as both a fine art gallery and creative working space that promotes the work of selected local and international artists. The studio presents new exhibitions several times a year, provides artist consultation and curatorial services, and regularly hosts creative workshops, pop-ups, and special events. As noted in the “Best of D.C.” poll, LATELA is "focused on community building and connecting emerging creatives with opportunities and arts industry guidance." Latela Art Gallery is located on the Arts Walk at Monroe Street Market in the historic Brookland neighborhood of Washington. The Arts Walk was named “Best Up-and-Coming Arts Neighborhood” (2016) and, most recently, “Best Blend of Art and Retail” (2017) by Washington City Paper. 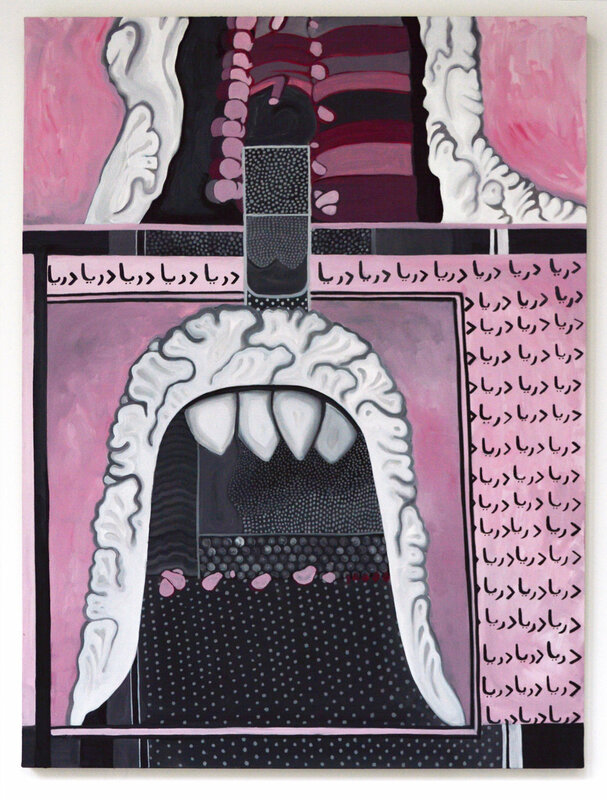 Guy Ghazanchyan, born in 1991, represents the third generation of a family of artists. Guy has had exhibits in Germany, Armenia, Georgia and France. Guy graduated from Yerevan State Academy of Fine Arts in 2012. Guy’s work is a place where the colours of the past, the present and the future collide and the mysterious behind empowered women are illustrated. Haley Parsa works in a large variety of mediums, engaging in print, sculpture, and installation. As an Iranian-American in Texas, she places her Persian heritage under an intimate and meditative lens. Parsa investigates the ways in which cultural images, objects and rituals embedded in personal histories and can relate to a larger cultural context. Using the devices of repetition and pattern, she is interested in how these can transform to become more mysterious and impactful.